Groot Handelsgebouw, next to Rotterdam Central Station, is the largest multi-tenant business building in The Netherlands. The monument is a city within a city. Imposing from the outside, inside it is a building with an open character. 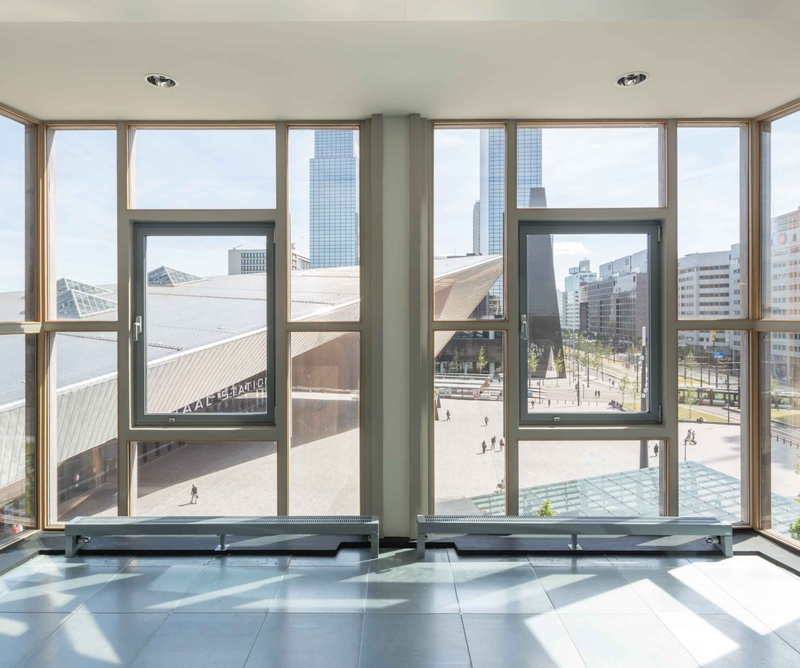 Retail space located at the popular Weena, in Rotterdam Central District. This modern office space has a built in pantry. Click to continue. Design your own floorplan for this spacious office. Click to continue. Are you looking for an office space for a small team? We have offices avalaible!